For the first time ever, a majority of Americans say they’re opposed to nuclear energy. Revealingly, the declining attitudes towards nuclear has less to do with the perceived risks, and more to do with falling gas prices. 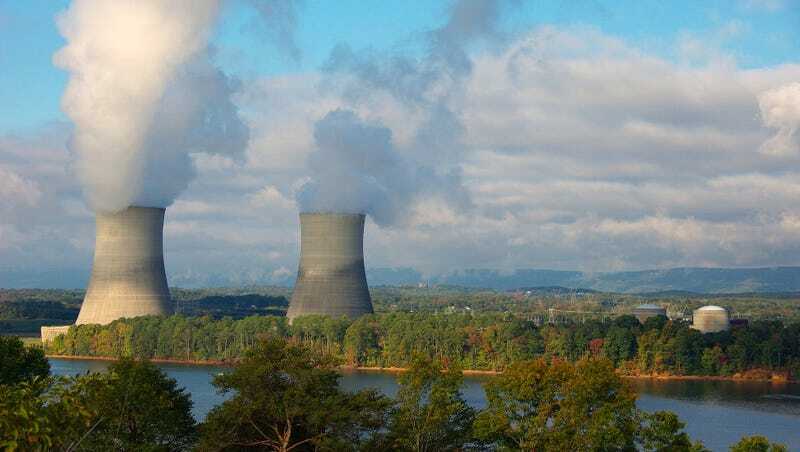 According to a new Gallup poll, 54 percent of Americans now oppose nuclear energy. This is up a startling 11 percentage points from just last year when 43 percent said they were opposed. The poll, taken from March 2 to 6, shows that only 44 percent of Americans are now in favor. It’s the first time that a majority in the US has expressed opposition to nuclear energy since Gallup first started asking the question in 1994. Indeed, lower prices at the pump are influencing the public’s perception of nuclear power as a viable source of electricity. Owing to a sharp decline in oil and natural gas prices, along with a glut of oil around the world, Americans seem to have lost some of their enthusiasm for nuclear. At the same time, viable energy alternatives (such as wind and solar) are steadily emerging. Proponents, on the other hand, point to the fact that nuclear doesn’t rely on fossil fuels, and it’s not influenced by fluctuating oil and gas costs. It’s also clean (unless there’s an accident, of course, in which case it’s very unclean); nuclear plants release insignificant amounts of CO2. And despite the immediate upfront costs to build a plant (the price tag of a nuclear plant can run into the billions), they require minimal maintenance once they’re up and running. Is nuclear power really on the way out? Gallup’s poll results aren’t entirely surprising. Nuclear appears to be on its way out in several countries, including Japan and Germany. The future of nuclear in the United States suddenly seems very uncertain.